Chessex: The coolest dice on the planet! Gemini Dice are part of the Chessex Signature Series Dice. Signature dice area compilation of the best selling colors of new dice released in the past fewyears. It includes a wide variety of colors and materials, but each is aunique and interesting addition to any dice collection. 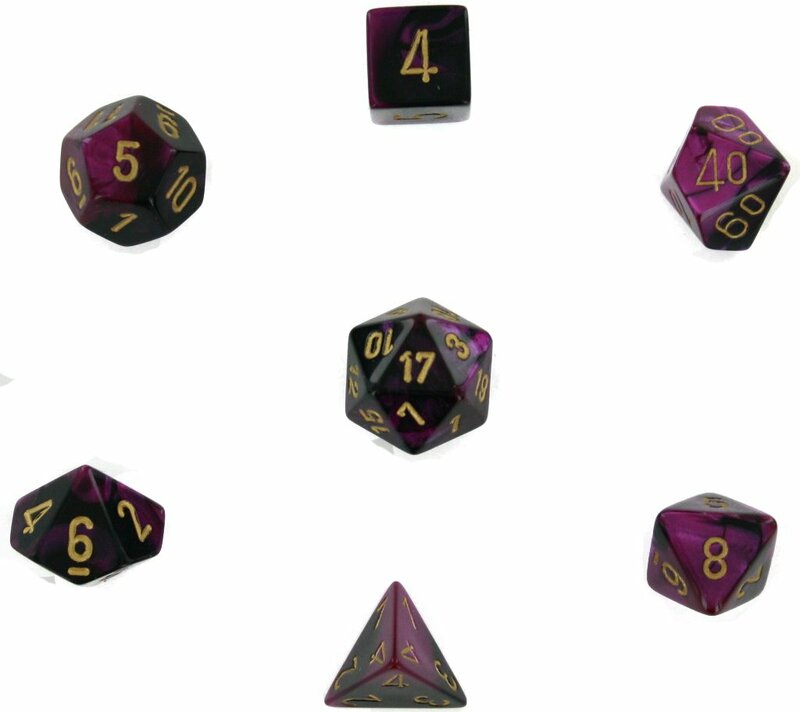 This set contains oned20, one d12, two d10 (00-90 and 0-9), one d8, one d6, and one d4.